Sandy Rios is Director of Governmental Affairs for the American Family Association, one of America's largest, pro-family grassroots organizations. Based in Washington, DC, she is host of "Sandy Rios in the Morning on AFR Talk" which can be heard on nearly 200 stations through the American Family Radio Network. Sandy joined the Fox News Channel as a contributor in 2005. She has defended religious freedom, analyzed presidential candidates, and debated national security issues with Megyn Kelly, Bill O'Reilly, Sean Hannity, and most of the FOX Team. As the former president of Concerned Women For America, the nation's largest public policy women's organization, Sandy hosted a nationally syndicated radio show that aired in most major cities in the U.S. and parts of Canada. She is the former president of Culture Campaign and was host of the "Sandy Rios Show" for Salem Communications in Chicago for ten years. 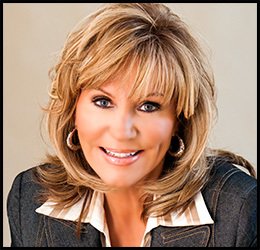 The National Religious Broadcasters chose Sandy as their 2010 Radio Personality of the Year. She has also received an Angel Award, a TESLA, and seven Silver Microphone Awards for her work in radio. Former chairman of the North Korea Freedom Coalition, Sandy has done investigative work in China, Vietnam, North Korea, Thailand, Cambodia, the Soviet Union, and India. She lived in a still-divided Berlin, Germany for two years. Sandy is married to a retired FBI Special agent. She has a son, who is a married writer and pastor, and father of three. Sandy's daughter, Sasha, severely disabled since birth, passed away in 2009. Before embarking on her career in radio and television, Sandy was a professional musician and singer. To download Sandy's Biography in PDF format, click here.